Josef Ploner is a Lecturer at the Faculty of Arts, Cultures and Education at the University of Hull, UK. Trained as a cultural anthropologist, his research focuses on cultural and heritage tourism as sites of learning, ideological contest, narrative ordering and memory formation. Josef’s other main research interest relates to mobility, migration and cultural diversity in international higher education. Patrick Naef is a Researcher and Lecturer in the Department of Geography and Environment at the University of Geneva, Switzerland. He was previously a visiting scholar in the Department of Anthropology at the University of California, Berkeley. 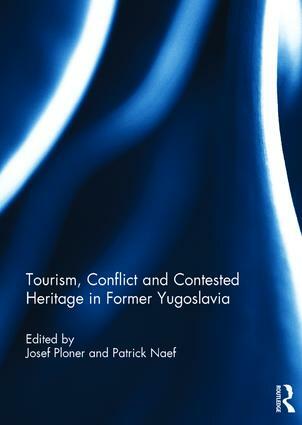 His doctoral dissertation defended at the University of Geneva looks at conflicts of memory within the cultural heritage management and tourism sectors in Sarajevo, Srebrenica (Bosnia-Herzegovina) and Vukovar (Croatia). His research in Eastern Europe, South America and South-East Asia has led him to examine notions such as identity, tourism, war, genocide, nationalism and representation.